We had a meeting and someone brought in a bag of "prizes" as an icebreaker. Low and behold, one of the items being given away was a this cool watch. At first, we thought it was Kim Jong-il (father of Kim Jong-un, North Korea's current leader). "Coincidentally," this just one day after the historic peace summit between President Trump and Kim Jong-un. 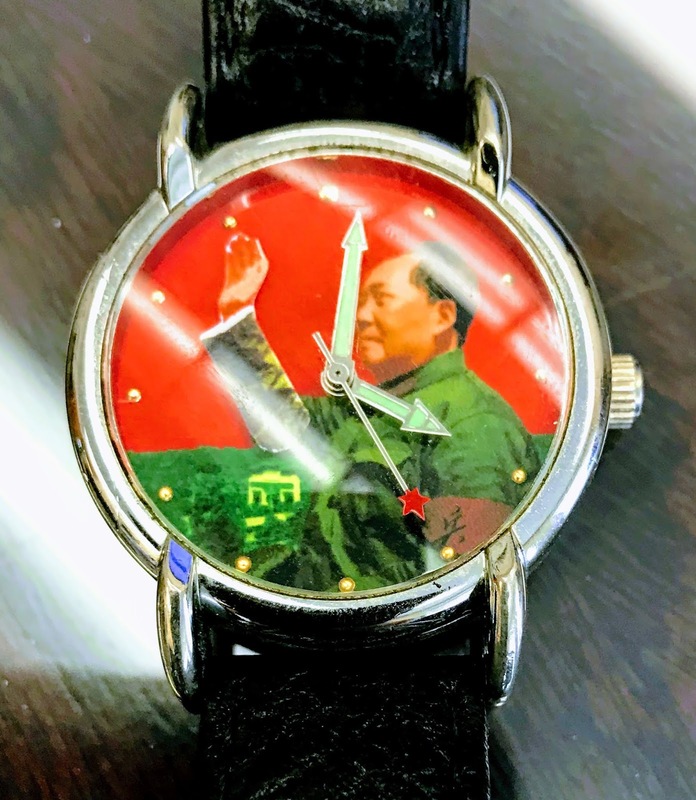 Then later, we realized that this is Chairman Mao Tse Tung, the founding father of modern China. It is mind-boggling to me why anyone would give a watch like this away. 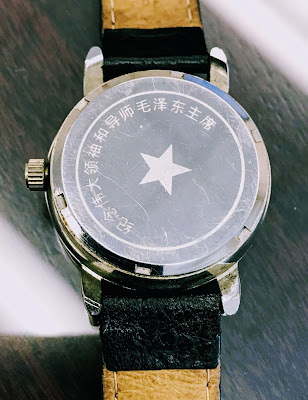 Anyway, I think this watch is an amazing piece of history, especially from China's transformation to the world's largest Communist country.